The African Women’s Alliance of Waterloo Region is inviting everyone to the upcoming 17th annual Afro Festival. The Afro Festival is a festival of dance, music, drama, art and African cuisine celebrating the rich cultural heritage of all of the countries that comprise the African continent. The Afro Festival brings the diverse community of Waterloo Region together to participate in an exciting event. It provides an excellent venue for promoting organizations like yours. Venue: Waterloo Park, Westmount Road entrance. Why do you (we, they) think what you (we, they) think? All your mindful musings – soon answered! Using innovative special effects, video games, optical illusions and interactive displays, BRAIN shows how the brain functions – and sometimes – malfunctions. This hands‑on exhibition provides an up‑close look at the human body’s most essential and fascinating organ by exploring its development, geography and function. A shimmering tunnel of flashing fiber-optics illuminates networks of neurons firing and communicating, as visitors delve deeper into the brain to discover its basic workings. From infancy through old age, learn the evolution of scientists’ understanding of the brain’s physiology and study the re-created skull of Phineas Gage — a man who survived after his brain was pierced by a metal rod. The exhibition makes brain-related disorders, such as Alzheimer’s, depression and addiction, easier to understand. Guests will explore the relationship between depression and creativity, how drugs work in the brain, and the nature of pain as well as the future of brain treatments, genome mapping and molecular medicine. It will run from September 29, 2018 – April 28, 2019 and is made possible by Pfizer Inc. and produced by Evergreen Exhibitions in collaboration with the National Institutes of Health. The exhibition is generously sponsored by The Ontario Brain Institute. A series of related events, including THEMUSEUM’s Dialogue Series, will be announced shortly. More information on BRAIN: The World Inside Your Head can be found here. Are you looking for a ride, through the country side with winding turns and scenic views? On August 18th, join us as we ride through beautiful Forks of the Credit in support of the Multiple Sclerosis Society. The annual Freedom Ride to End MS poker run is back! Grand River Chapter has teamed up with Simcoe Muskoka Chapter to make this year’s ride bigger and better than ever! More riders and more prizes! The ride will start from two locations this year; 425 Bingeman’s Centre Dr. Kitchener or 5357 County Rd 9 New Lowell. Enjoy a pancake breakfast and fresh coffee before you set out at 10am. All riders will join together at the Forks of the Credit for a BBQ lunch, fun and prizes! The minimum pledge to ride is $50. Each rider will receive one ticket to the grand prize, valued at $1000 and one ticket to the scrambler prize table. Raise more money and increase your chances of winning! For every additional $50 raised you receive additional prize tickets! All riders will receive a commemorative ride t-shirt! Register online at www.freedomridetoendms.ca to receive an extra ticket to win the grand prize! local businesses such as Belgium Nursery, Alpine Boston Pizza, Shakespeare Pies, and so many more! There are well over 40 silent auction items! week, Amanda’s family is unable to cover this cost fully by themselves. That is where the support from this community has been essential and completely appreciated. go to covering these Service Dog costs. Amanda and her family would like to thank you for your support from the bottoms of their hearts. New Hamburg ON – June 22, 2018 –The Canada Day in Wilmot Committee looks forward to continuing to deliver an unprecedented level of entertainment that seven-thousand proud Canadians enthusiastically came together to enjoy in New Hamburg in honour of Canada’s 150th anniversary of Confederation. This year’s event will once again be held at Norm S. Hill Park and will run from 8 am to dusk. Admission is only $5 per adult and children 13 and under get in free. This year's celebrations get underway on Sunday at 8 AM with a Community Breakfast prepared by Chef Adam Brenner. In addition to the traditional start to the day, breakfast attendees will have a chance to meet the Brampton Batman and see his 1980s movie replica Batmobile in person. Breakfast prices are; Adults $15, Kids $5 (6-12yrs), Kids 5 and under free – cash only. Breakfast with Batman concludes at 11 am. An interfaith prayer service that celebrates the common themes of community, family and diversity with the grace of unity takes place from 10 am to 11 am. Also starting at 10 am is the vendor’s market, featuring various local businesses and community organizations. At the same time Ctrl V Guelph will begin to offer a Virtual Reality gaming experience for a donation of $5 to SickKids Hospital. They’ll be located inside the New Hamburg Arena. The New Hamburg Dental Group Kids Zone opens for fun at 11 am and features various activities including bouncy castles, fun photos frames, face painting and more. Additionally, the Wilmot Agricultural Society Petting Zoo offers a variety of family friendly farm animals who look forward to meeting children of all ages. Acclaimed children’s entertainer Erick Traplin will perform his highly interactive show at 2:30 pm and 4 pm on the Dolman Eyecare Centre Main Stage. After a performance by the New Hamburg Concert Band, the New Hamburg Legion Beer Garden and the New Hamburg Optimist Food Booth will open for the day. Attendees are encouraged to enjoy their beverages and burgers responsibly- as free Canada Day cake will be served after the opening ceremonies. Karate and Zumba demos also get underway at noon on the Dolman Eyecare Centre Main Stage. 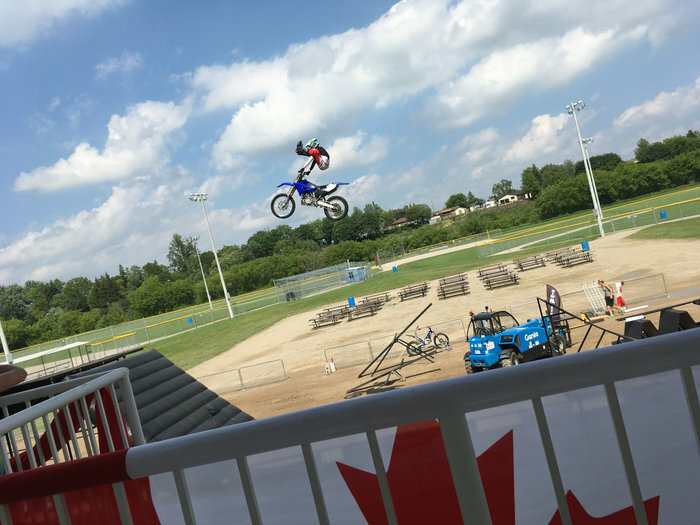 A high-flying freestyle motocross (FMX) stunt show will take Canada Day in Wilmot to new heights at 1 pm for the first of three shows. The Sunbelt Rentals – Stratford Freestyle Motocross Stunt Show features three Canadian World-Class FMX athletes who’ll demonstrate a level of acrobatic moto-magic Waterloo Region has never seen before. Autograph sessions will follow each show. 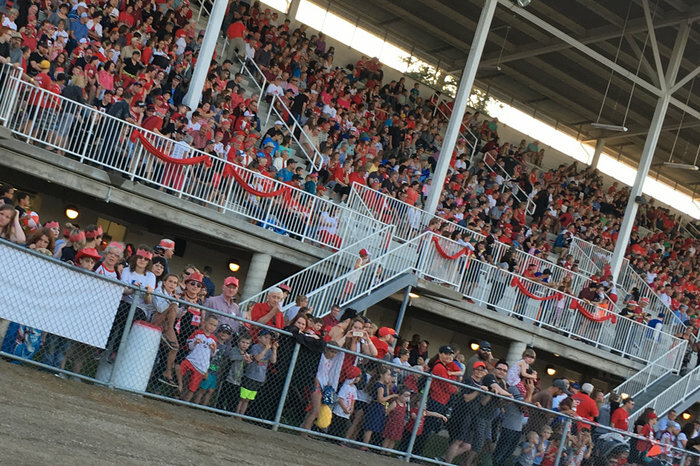 The official Canada Day in Wilmot opening ceremonies kick off at 2 pm with a colourful Canada-themed walking parade from the New Hamburg Legion to the Grandstands where the iconic king of Canadian viral videos Brittlestar (Stewart Reynolds) will be sworn in as the Official 2018 Canada Day in Wilmot Grand Marshal. Attendees will likely recognize Brittlestar for his recent series of popular viral videos featuring his character; the Rt. Hon. Brittlestar, Minister of Keeping It Real. The Community Players of New Hamburg’s Artistic Director, Danielle Guistini–Crouse and actress Joanna Guistini–Wilkinson will sing our national anthem and local dignitaries will offer a few words of welcome and help us officially get the Canada Day celebrations underway. 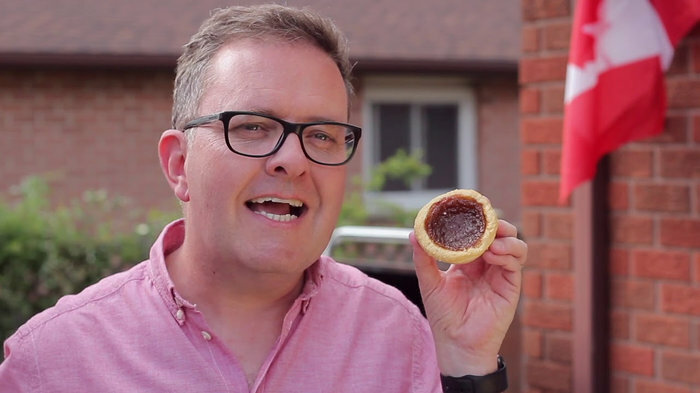 Free Canada Day cake will be served to the public at 2:30 pm by local dignitaries and Grand Marshal Brittlestar. MC Rob Pagetto alongside DJ Habermehl returns to help keep the day moving along and to have some fun with the audience. Pagetto and Habermehl will host a variety of engaging games including the highly entertaining Sweets New Hamburg – Pie Eating Contest and will assist with the New Hamburg Board of Trade Duck Dive. Attendees are advised to get their tickets early. Shortly after the final of the three Sunbelt Rentals – Stratford Freestyle Motocross Stunt Shows, Orangeman hits the stage with their non-stop show featuring top party songs from the 80's, 90's and some top 40 hits played to perfection. 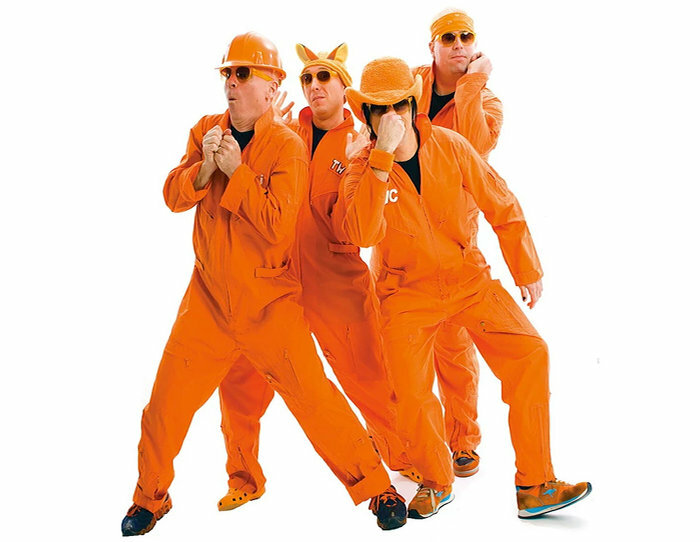 Known as "… one of the country's hardest working cover bands" Orangeman has played across Canada and has graced the stage at Casino Rama Resort where The Tragically Hip, Carrie Underwood and ZZ Top have performed as well. 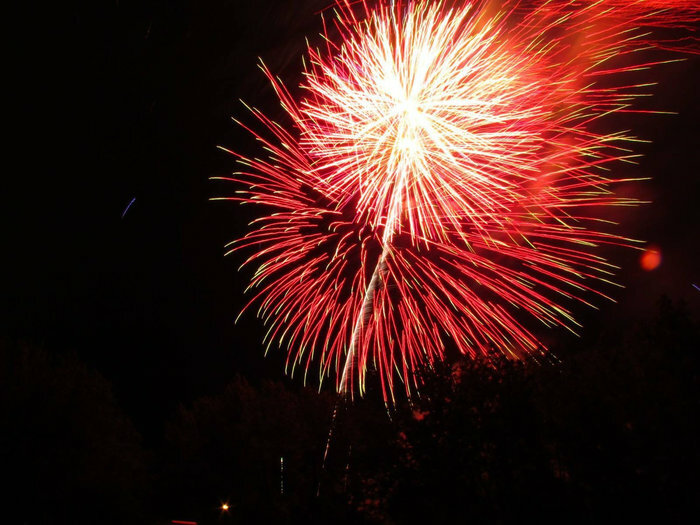 To cap off an already jam-packed Canada Day in Wilmot, the NW Roofing Fireworks Spectacular will light up the sky with a memorable professional pyrotechnic display to make Canada Day complete. To Learn more about this year’s Canada Day festivities please visit www.canadadayinwilmot.com or follow us on Twitter and Instagram at @CanadaDayWilmot and on Facebook at @CanadaDayInWilmot. 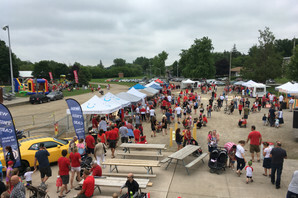 We wish to thank our Canada Day in Wilmot sponsors and partners:NW Roofing, Dolman Eyecare Centre, Sunbelt Rentals – Stratford, New Hamburg Dental Group, Imperial Market – Scran & Dram, Sobeys – New Hamburg, New Hamburg Legion, Keith Hallman Contracting, Riverside Brass, BW Feed and Seed, Optimist Club – New Hamburg, New Hamburg MCC Thrift Centre, Gaia's Gardens, RR Gravel & Sand, Argo-ODG, Puddicombe House, Erb Transport, Kitchener-Conestoga MP Harold Albrecht, Finney's Auto Service, TLC Pet Foods, Wilmot Agricultural Society, NorthStar Fireworks, Carey Homes, Sweets- New Hamburg, Oak Grove Cheese Factory, New Hamburg Board Of Trade, Infinet Motorsports, Region Of Waterloo Medical Venturers and Medical Rovers, The Waterloo Region Record, New Hamburg Independent, Virgin Radio KW, CTV Kitchener, KFUN 99.5 and the Baden Outlook. We’d also like to thank the small businesses and individuals for donating to the overall event. Canada Day in Wilmot is a not-for-profit single-day festival celebrating Canada Day and Canadian values that our great country and communities are built on; integrity, hard work, compassion, inclusion, equality and diversity. The day is designed to foster these core values through fun, educational and entertaining family-friendly activities while supporting local businesses, artists and our community partners. With community support, through public donations and corporate partners the committee endeavors to make this a self-sustaining annual event for many years to come. We are hosting a Honey Festival on July 21st from 10am to 3pm. The goal of the event is to promote pollinator awareness and stewardship in our local community by providing an observation hive, kid-fiendly activities and several presentations (one on pollinator plants, one on native bees, and two bee school sessions for kids) that families and individuals can drop in on throughout the day. There will also be food sampling and some local food vendors who produce products that pair well with honey to help people learn about local foods and new ways to use honey. Mano A Mano is back on Sunday nights! This past Sunday we simulated game 2 (forgetting to make it in Golden States home stadium) thus making it our prediction for game 3. It is already our most unpopular podcast! 1. WalterFedy – ChargeWR Event – Friday May 25th 11:30am – 1:30pm – 675 Queen St S Kitchener – WREVA members are invited to display their EVs during the event. Please RSVP if you would like to attend! 2. WREVA Meeting – Tuesday May 29th at 7pm – 9pm – Barry Cullen Boardroom Guelph. Presentations by Rob S (Travelling North America in a i3) and Ian G (New Solar announcement by Green Ontario Fund (www.greenon.ca) for residential Solar/Battery incentives). As well as EV news and discussion. Again please RSVP so we have the proper amount of seating available! WREVA decals will be available at the meeting for $5, all proceeds go to the WREVA Group. The Waterloo Wellington Myalgic Encephalomyelitis Association (WWMEA) is pleased to present UNREST (for free) on Tue. May 1, 2018, 7:00 PM EDT at the Princess Twin Cinemas, 46 King Street North, Waterloo, ON N2J 2W8. "… the documentary is not only for those suffering from chronic illnesses – it’s for everyone, especially those who feel they cannot relate. In the same way that we don’t need to be in love when we read a love story, viewers don’t need to be sick in order to participate in the much-needed conversation that Brea’s documentary proposes. In fact, participation and engagement by a more diverse population is not only preferable, it’s crucial. Millions of people currently have some diagnosis of chronic illness, with a reported 15 to 30 million people worldwide reportedly suffering from ME/CFS alone." M.E. is a poorly understood, invisible chronic illness. Anyone familiar with M.E. or other invisible chronic illnesses such as Fibromyalgia, Lupus, Multiple Sclerosis, Chronic Fatigue Syndrome, Complex Regional Pain Syndrome or Multiple Chemical Sensitivity will appreciate Jennifer's story. After an in-depth review, Mennonite Central Committee (MCC) Ontario’s Director of Social Enterprise, Jan Martens Janzen, regretfully announces the closure of the MCC New to You Thrift Shop in Milverton, Ontario, effective June 30, 2018. “We deeply appreciate the dedication shown by the staff, volunteers, customers and churches who have supported the New to You Thrift Shop and we recognize the impact of this difficult decision.” says Martens Janzen. The New to You Thrift Shop opened in 1989 and was the seventh MCC Thrift Shop to open in Ontario. New to You has contributed more than $700,000 to Mennonite Central Committee’s work of relief, development and peace in Ontario and around the world since it opened. Mennonite Central Committee operates seven thrift shops in Ontario and an additional 90 in Canada and the U.S. Each year MCC Thrift Shops in Ontario are able to divert more than 4,000 tonnes from landfills. In 2017 MCC Thrift Shops in Canada contributed over $20 million to the mission of MCC. The businesses at The Regina Street Commons, located at the corner of Regina and Dupont Streets in uptown Waterloo, will host their second Earth Day Festival titled “Common Ground”. Free all-day activities, music and art will engage our community in discussions and actions challenging the myth of separation and looking deeply at how intimately we are all connected to each other and to the land. Kultrún Market and Neruda Arts will present live world music from Mari Palhares and Y Josephine, a female led percussion duo from Venezuela and Brazil, followed by a drum circle, so don’t forget to bring your drums! A vendors’ market full of local and eco-friendly organizations/businesses will be showcasing their products. Click here for a full schedule. The Mighty Kultrún is Coming Soon! Department of Canadian Heritage, Ontario Arts Council, City of Waterloo, City of Kitchener and Waterloo Region Record. Visit Our Website Spread the news – forward our newsletter! You're receiving this email because you're a friend of Neruda Arts or you subscribed at nerudaarts.ca. Can't see this email? View it here />. Barry Cullen Chevy will be holding its first ever Electric Vehicle Information Event at their dealership in Guelph. This event is to inform the public so they may see and understand how EV's operate in the region, and outline the benefits and advantages of going EV. This is NOT a car sales event, and this event is open to ALL EV owners and enthusiasts. There will be presentations about EV ownership, food, and the opportunity to speak with experienced owners from around the region. WREVA has been invited to attend with as many owners and cars (any EV manufacturer) that would wish to attend and to converse with the public. Please RSVP (and have not already), if you would be interested in attending this event so they can plan to have enough food and space for the participants! On Saturday, April 14 from 9 am to 3 pm, MCC Ontario will be presenting a one day conference entitled Responding to the world refugee crisis one family at a time. This important conference will provide opportunities to learn more about how you can respond to the current refugee crisis through the Blended Visa Office Referred Refugee Sponsorship program. Other presenters include Barbara Treviranus, former field worker for the United Nations High Commissioner for Refugees, representatives from Immigration, Refugee and Citizenship Canada, Brian Dyck, MCC National Migration and Resettlement Program Coordinator, Moses Moini, MCC Ontario Refugee Program Coordinator, and Kaylee Perez, MCC Ontario Refugee Resettlement Associate. For more information, please go to mcco.ca/refugee-conference or contact Sheryl Bruggeling at sherylbruggeling@mcco.ca or 519-745-8458 ext 265. The festival takes place on September 8 and 9th with multiple interactive train experiences running both days. Here is some more information about the event. "Train Ticket holders will become agents upon boarding the "Hogwarts Express". Prior to boarding the train all agents will enter our training camp allowing them exclusive entertainment, live music, aerial acts and illusions like never seen before. ALL ABOARD!! Your dark forces briefing and training begins as you board the train with your professors and off you go on this mystical excursion. Some prisoners have been plotting to escape "Azkaban" Spellbound prison, it is your job to help transport them to a new secure location to await trial. Will you be successful in the mission? At the Festival Harry Potter fans may take part in interactive shows, potions classes, learn about the care of magical creatures, take a workshop in Defending Against the Enemy, write spells and see wondrous animals and magic shows. Fans can join thousands of other Harry Potter fans to wander the merchants of our Enchanted Alley where you can see all sorts of strange and wonderful items and maybe even sip on some Butter Beer too! Fans are encourage to wear their Harry Potter costumes. Go all out with your garments relating to Harry Potter, Moaning Myrtle, Hagrid, Dumbledore and more Harry Potter characters. Dress to impress; it will only add to the fun!" Feel free to contact me for more information about the event. I look forward to speaking with the hosts! you sharing this information with your readers, viewers and listeners. 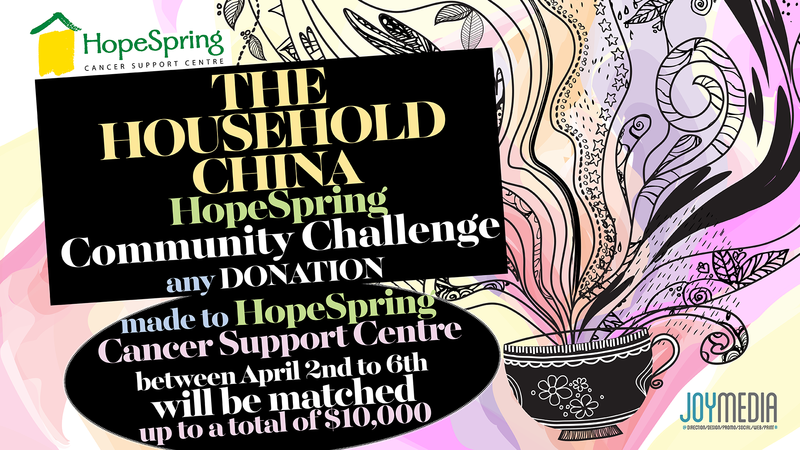 Waterloo, Ontario – Today, HopeSpring Cancer Support Centre officially announces the Household China Community Donation Matching Drive effective April 2nd – 7th, 2018.
a way to give back to the community while honoring those that remain dear to Household China’s heart. Traudie Kauntz, owner of Household China is currently facing her own battle with cancer. Donations will be matched up to a maximum of $10,000. Donations may be made by visiting www.hopespring.ca, by phone (519) 742- HOPE (4673), or in person (at the back entrance of the Inn of Waterloo), 475 King St. N, Waterloo, ON. Copyright © 2018 HopeSpring Cancer Support Centre, All rights reserved.